Standard room amenities : cable TV, PPV movies, coffee maker, desk, hair dryer, iron, microwave, TV, refrigerator, telephone with voice mail. Hotel amenities : VIP Services, health club. One look at the spacious studio, one-bedroom and studio double suites at the Candlewood Suites and guests will realize why the hotel chain prides themselves as giving patrons, 'Life on the road at its best. 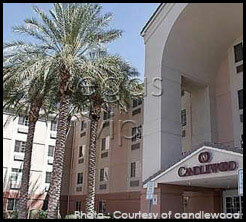 Candlewood Suites offers a full kitchen including a dishwasher, full size refrigerator and freezer, and stovetop. There is also a television with VCR and/or DVD player, two phone lines with voicemail, free high-speed Internet access and free local telephone calls. 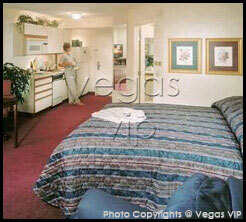 And it’s only one mile from the Strip and a half mile from McCarran Airport. 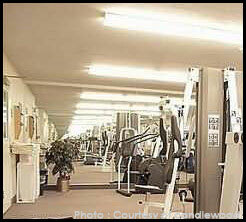 There is also an outdoor pool and a fitness center for guests to enjoy.